The rural Victorian town of Seymour boasts these two fine pubs. 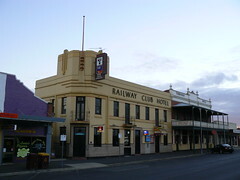 The Art Deco style Railway Club Hotel in the foreground and the Terminus Hotel behind that. They are close to the Railway Station ... believe it or not. 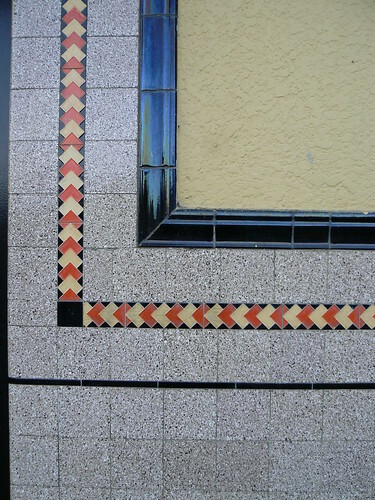 The Railway Club Hotel has very nice Art Deco style tiles at street level. Interestingly, so does the Victorian style Terminus Hotel. The Terminus Hotel looks typically late Victorian and typically Australian. The Deco style Railway Club Hotel still looks Australian too me, but more international at the same time. It's those wide upper storey verandahs that do it for me. So iconic and so lovely to see when visiting rural towns since they've basically been eradicated from the larger cities. Seymour is my hometown. You're a couple of years late to get photos of probably the most imposing pub in town, the Town & Country. It got demolished by a local rich idiot. The only remnants are the former bottle shop built in same streamlined style as the balcony it had. That remnant now serves as the shopfront of a rural supplies business which uses the vacant portion of the site to store farm equipment. Sounds like it was a great looking pub. David, it was quite a long way passed it's prime, but as per the Railway and the Terminus a refresh would have brought it right back up to speed. Unfortunately, a poor colour choice, proliferation of beer advertising signage and an overgrown tree out front did little for it's appeal. If you google "Town and Country Hotel Seymour" you will get a few glimpses of it. Thanks for your site too. I really enjoy it. I found this blog which has a picture of the Town & Country. Yes the dark green didn't do much for it. 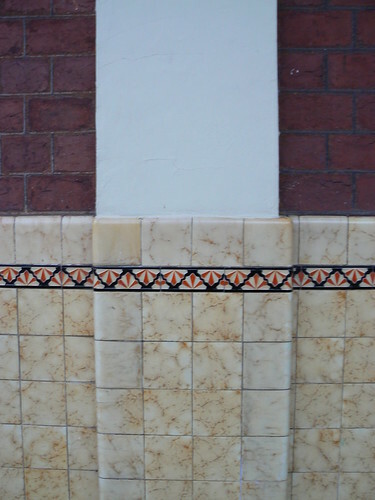 And I think too many businesses today don't make the most of the inherent appeal of the architecture of their buildings by the need to put up unsympathetic advertising. I think a lovely building with stylish signage will stand out from the crowd and serve the business better in the long run.